€400 mil­li­on – this is how much the European Insti­tu­te for Inno­va­ti­on and Tech­no­lo­gy (EIT) has invested sin­ce 2015 in its bid to estab­lish a know­ledge and inno­va­ti­on com­mu­ni­ty (KIC) to con­so­li­da­te innovation-oriented rese­arch in the area of raw mate­ri­als wit­hin seven years. The asso­cia­ted call was won by the “Raw­MatT­TERS” con­sor­ti­um, which brings tog­e­ther more than 120 uni­ver­si­ties, rese­arch cen­tres and com­pa­nies from 20 European coun­tries. The Nur­em­berg Insti­tu­te of Tech­no­lo­gy Georg Simon Ohm is part of the KIC, which is now spon­so­red under the name “EIT Raw­Ma­te­ri­als”. As an asso­cia­ted part­ner, the Nur­em­berg Tech is also the only Bava­ri­an uni­ver­si­ty to join the lar­gest and most wide­ly respec­ted rese­arch net­work for raw mate­ri­als in Euro­pe. 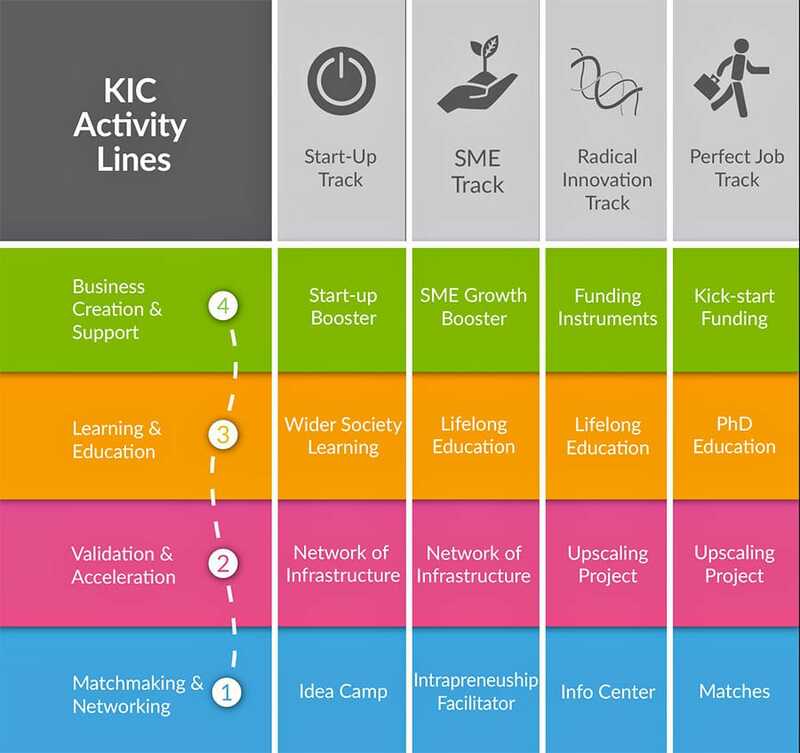 The KIC’s aim is to deve­lop new pro­ces­ses and pro­duc­ts for the long-term inves­ti­ga­ti­on, extrac­tion, hand­ling, recy­cling and sub­sti­tu­ti­on of raw mate­ri­als and to invol­ve key play­ers along the ent­i­re value crea­ti­on chain. Thanks to ground-breaking inno­va­tions, sup­port for start-up com­pa­nies and effec­tive trai­ning for up-and-coming talents, the European raw mate­ri­al sec­tor should be made fit for the future. This inclu­des a sta­ble sup­ply of raw mate­ri­al for Euro­pe, a com­pe­ti­ti­ve indus­try and ulti­mate­ly new jobs. The Tech­ni­sche Hoch­schu­le Nur­em­berg is invol­ved in the fields of tea­ching, rese­arch and deve­lop­ment. In the area of deve­lop­ment, it is working with the Fraun­ho­fer Rese­arch Group for “Par­ti­cle Tech­no­lo­gy, Raw Mate­ri­al Inno­va­tions and Resour­ce Effi­ci­en­cy” and the Cent­re of Exper­ti­se for Ana­ly­tics, Nano­tech­no­lo­gy and Mate­ri­al Tech­no­lo­gy. In addi­ti­on to lea­ding Ger­man uni­ver­si­ties, such as the TU Berg­aka­de­mie Frei­berg, the RWTH Uni­ver­si­ty Aachen and the TU Claus­thal, the con­sor­ti­um also inclu­des the Fraun­ho­fer group and renow­ned com­pa­nies such as BASF, DMT and Heraeus. 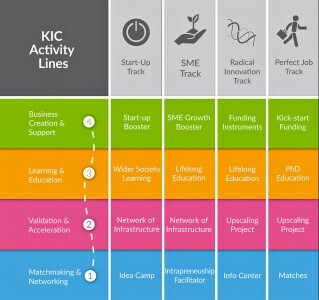 The KIC is based in Ber­lin. Its invol­ve­ment in “EIT Raw­Ma­te­ri­als” is not only important to the TH Nur­em­berg from a tech­ni­cal point of view; it also brings with it a gre­at deal of pres­ti­ge. Like a cham­pi­ons league match, as the university’s pre­si­dent Pro­fes­sor Micha­el Braun puts it. On its jour­ney to joi­ning the con­sor­ti­um, the uni­ver­si­ty recei­ved sup­port from the Bava­ri­an Rese­arch Alli­an­ce (Bay­FOR) and Bay­ern Innovativ’s New Mate­ri­als Clus­ter. Bay­FOR pro­vi­ded advice during the app­li­ca­ti­on pro­cess, working clo­se­ly with the university’s Cent­re for Know­ledge and Tech­no­lo­gy Trans­fer (known as the ZWTT). Throughout the cour­se of the seven-year pro­ject, Bay­FOR is on hand to pro­vi­de the TH Nur­em­berg with fur­ther advice. The New Mate­ri­als Clus­ter also sup­ports the Fraun­ho­fer pro­ject group for mate­ri­al cycles and resour­ce stra­te­gy. As a sup­por­ting part­ner, it app­lies its exper­ti­se in the field of sustai­na­bi­li­ty and resour­ce effi­ci­en­cy and actively sup­ports the “Entre­pre­neurship” task force.